Addison sits in the sweet spot of the DFW Metroplex and is the perfect center for your next getaway. Stay in one of 22 inviting hotels and take your pick of 180 appetizing restaurants, cafes, gastropubs, and more – all within 4.4 square miles. 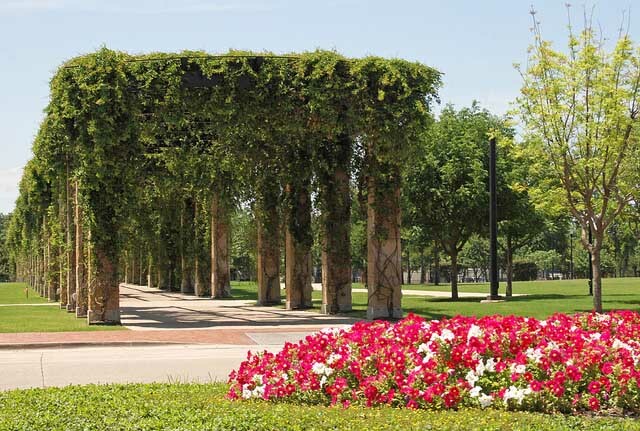 When you visit Addison, you are never more than a few minutes away from all the attractions, sports, shopping, and airports in Dallas and the surrounding Metroplex, all while enjoying all the charm of a friendly small town. Before the city became Addison, it was called Peters Colony. The first settlers, Preston Witt and his wife, settled on White Rock Creek in 1846. It wasn’t until 1902 that the town changed its name to honor postmaster Addison Robertson. That same year, the Pistole brothers erected the town’s first cotton gin, on Addison Road, introducing the first industry in the process. The city of Addison was incorporated in 1953, but in 1982 it officially changed its name to the “Town of Addison.” Once considered on the outskirts of Dallas, the northern expansion of DFW has now perfectly positioned Addison in the center of everything DFW has to offer. Addison may have a relatively small number of residents, but when calculating the number of some of their attractions per capita, the results are astounding. For example, there are more Addison restaurants per capita than in any other city in the country. Some of the best of these are located at the sprawling Village on the Parkway, where the cuisine covers everything from burgers and pizza to sushi and sandwiches. You’ll also find a wide range of national brand retailers and local boutiques. If you’re looking for live entertainment, you’ll find it here, too, at varying levels of class and sophistication. For a true evening of culture, head to WaterTower Theatre, Addison’s acclaimed regional theater company. They produce five major shows throughout the year, with programming taking up a good chunk of the calendar. For a night slightly less refined, but no less entertaining, try the Addison Improv, where you can catch touring kings and queens of comedy every weekend, or even the newly renovated Bowlmor which offers bowling, nightlife, billiards and games galore. Of course, Addison makes a great jumping-off point for day trips to the many attractions found in the Dallas/Fort Worth area. The incredible Dallas World Aquarium and the always-rocking American Airlines Center are just a short drive away, as are four major lakes: Lavon Lake, Lake Ray Hubbard, Grapevine Lake, and Lewisville Lake. You can boat, ski, swim, and fish to your heart’s content at all of these great spots. Visit Addison and discover a place with small-town charm and big-city appeal.